What Are the Pros and Cons of Laser Resurfacing for Scars? Laser treatments can reduce acne scarring. Scars from surgery and injury typically fade over time. Laser resurfacing is a medical procedure used to repair cosmetic blemishes and scars on the face. There are two types of laser treatments used in this process, each with its own advantages and disadvantages. The more invasive ablative laser procedure can produce better results but requires a longer period of recovery and has a greater potential for side effects. The non-ablative technique is typically less effective but is easier on the patient. In general, laser resurfacing for scars can help repair and improve the appearance of acne blemishes, but it also can be an expensive procedure with significant risks. Many dermatologists as of 2011 recommend ablative laser resurfacing for scars caused by acne, chicken pox or injury. This procedure uses a laser to cut away thin slices of skin at the scarring site. With the right candidate, ablative laser resurfacing can dramatically improve the appearance of scars and other blemishes. Following the procedure, the site must be covered for three days, after which the healing process will take from two to three weeks. The treated area may be pink for three months or more after the treatment, so patients should plan ahead for important events such as weddings and other social engagements. Aside from recovery time, the ablative resurfacing treatment has other drawbacks. The procedure’s average cost was more than $2,200 US Dollars (USD) in 2009 and is usually categorized as an elective cosmetic procedure not covered by health insurance. After surgery, patients may experience crusting and oozing, changes in skin color, infections, scarring and other side effects. While many patients feel the treatment made their appearance better, others reported no improvement. Non-ablative laser resurfacing for scars is a less invasive treatment and allows patients to heal much faster after surgery. This procedure can often be performed in a dermatologist’s office rather than an outpatient surgical facility. Instead of cutting away layers of skin, the laser is used to promote the formation of new collagen under the surface. While there may be some redness and swelling after the treatment, patients may return to their daily activities right away. As with the ablative technique, patients may experience changes in skin color, infection and blistering or scarring. While the non-ablative treatment is less invasive and has fewer reported side effects, the benefits are usually less dramatic for the patient. The non-ablative procedure is typically less expensive with an average cost closer to $1,000 USD in 2009. Patients considering laser resurfacing for scars should discuss the pros and cons of each procedure in depth with their dermatologist before committing to the surgery. What Factors Affect Cost of Laser Resurfacing? What Is Ablative Laser Resurfacing? What Is Involved in Laser Resurfacing Recovery? What Is Facial Laser Resurfacing? What Is Carbon Dioxide Laser Resurfacing? How Effective is Laser Acne Scar Removal? What are the Different Types of Laser Resurfacing? I don't know why people have the impression that non-ablative laser resurfacing is safer, it's not. My friend had this type of laser treatment and she has had severe side effects. Her face is blotchy and aged now. @SarahGen-- You really ought to speak to an experienced dermatologist or plastic surgeon about this. You will only get opinions here which may or may not be applicable in your case. I think the main factor you need to think about when deciding which type of laser resurfacing to go for is the severity of your scars. If you have very deep scars, then ablative resurfacing is probably best. 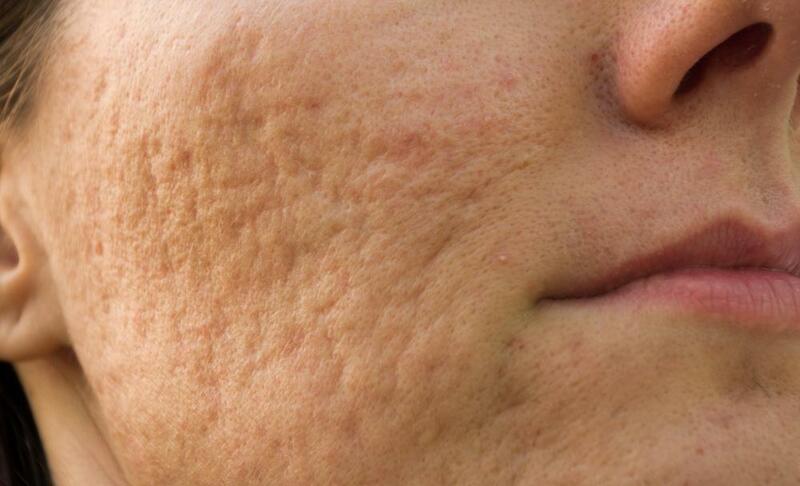 On the other hand, if you just have some minor acne scars, then non-ablative laser resurfacing would be best. That being said, laser resurfacing isn't the only treatment out there for scars. There are less expensive treatments that may work just as well. For example chemical peels are fairly effective. You may need more than one session but it is more affordable. Wow, it sounds like one type of laser resurfacing treatment isn't best. Both types have their advantages and disadvantages. This is making it even more difficult for me to decide which type of treatment I want. I need to make sure that the treatment is going to be very effective. I don't mind paying more for that. I am a bit scared about possible side effects however. I would actually love to hear some feedback from people who have had laser resurfacing done for scars. Has anyone here had experience with either of the laser treatments? What was your experience like?